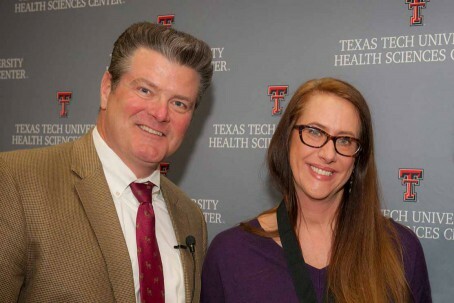 Kendra Rumbaugh's quest for new weapons to fight nature's nastiest superbugs earned her the Texas Tech University System's highest faculty honor. Kendra Rumbaugh engages in a daily battle against tiny creatures we can’t see that hold the power of life and death over us. Rumbaugh and her team of investigators fight that battle in the research laboratory at the School of Medicine’s Department of Surgery, where she is a professor. She’s also an international expert in infection and wound treatment which is critical for surgical and burn patients, diabetics and amputees. Working with researchers overseas, she’s advancing our knowledge of microbial defenses to develop more effective treatments for wound care. Texas Tech University Health Sciences Center President Tedd L. Mitchell, left, and Kendra Rumbaugh during a campus ceremony on Jan. 25, 2018. In honor of her career of achievement, Rumbaugh was awarded the Chancellor’s Council Distinguished Research Award, the most prestigious honor given to faculty members throughout the Texas Tech University System. She received $5,000 and a medallion for her excellence, funded by annual membership gifts to the Chancellor’s Council — a giving society that supports the priorities of the chancellor by impacting student lives through scholarships, recognizing faculty achievement and encouraging excellence across all four system universities. Her research to fight drug-resistant infections could have a profound impact on our healthcare system. Rumbaugh was born in New Mexico and remembers always wanting to be a scientist. “I always liked biology, nature and space exploration,” she said. She followed the path to a Ph.D. in medical microbiology at Texas Tech University Health Sciences Center. 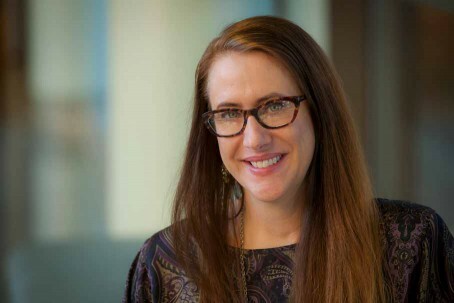 After receiving a post-doctoral training fellowship from Cystic Fibrosis Research Inc., she moved to San Francisco to work in the Wiener-Kronish laboratory at the University of California San Francisco. 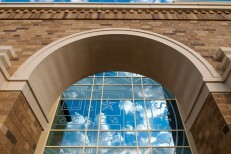 Eventually, she returned to Lubbock, where she is now a tenured professor in the Department of Surgery with joint appointments in the Department of Cell Biology and Biochemistry and the Department of Immunology and Molecular Microbiology. The National Institutes of Health, the American Diabetes Association and the Department of Veterans Affairs have all consulted Rumbaugh on wound treatment. She is also co-founder and previous president of the West Texas Association for Women in Science and president of the Texas branch of the American Society for Microbiology. 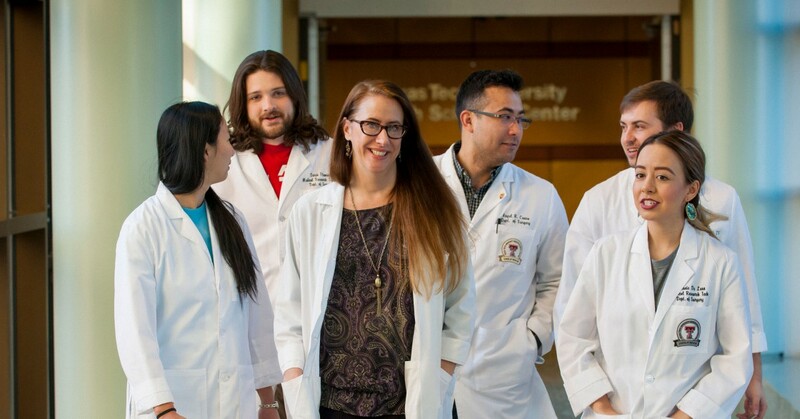 Kendra Rumbaugh, center, listens to medical students in her research lab at Texas Tech University Health Sciences Center. Rumbaugh’s research focuses on the drug-resistant defenses microbes have developed and possible solutions for disabling them. “Microbes can change themselves, which is a strategy to protect themselves from a harsh environment, whether it’s a sink or a riverbed,” Rumbaugh said. They may slow down their metabolism and, in doing so, create a greater tolerance to antibiotics. “Bacteria may secrete a slime coat or a biofilm after they colonize a wound,” Rumbaugh added, explaining that this is one major reason chronic infections, such as diabetic foot ulcers, are difficult to treat. A biofilm is a slimy, sugar-rich structure that protects bacteria from the body’s immune response and anti-microbial agents, making them up to 1,000 times less susceptible to extermination. A chronic wound may contain dozens of microbial species, and little is understood about how they work together to resist treatment. According to Rumbaugh, as many as 85 percent of bacterial infections are shielded by biofilms, which are protecting them from therapeutic drugs. Her objective is to develop agents that can break down the biofilm structures and cause them to collapse. That would increase the effectiveness of existing antibiotics and reverse the antibiotic resistance plaguing health care. 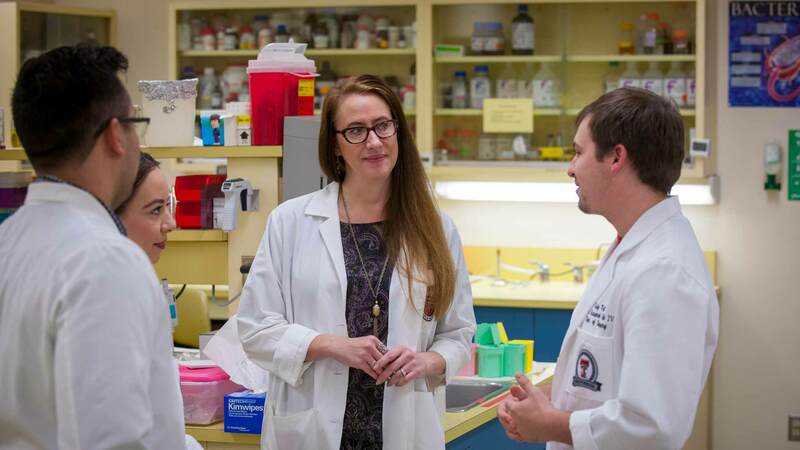 “We have developed several in vitro and in vivo wound models with which to test experimental antimicrobials and anti-biofilm agents,” Rumbaugh said of her lab at TTUHSC. In this quest, she often collaborates with researchers overseas. “We have extensive experience in working with companies and academic collaborators to test the efficacy of new therapeutics,” she said. The European response includes more government support for drugs aimed at resistant strains. “I work with a lot of companies — small pharmaceuticals — that don’t have their own research division. We’ve worked with a dozen or so in Europe that target biofilm,” Rumbaugh said. Rumbaugh’s research team and their European counterparts have even reached back to Medieval times for a potential cure for one of the most serious infections we face. 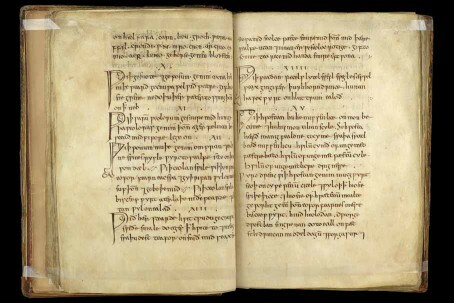 The novel opportunity for collaboration presented itself when researchers at Nottingham University in England were approached by an academic in the Medieval Studies department about a 1,000-year-old recipe from Bald’s Leachbook. They turned to Rumbaugh and Texas Tech University Health Sciences Center for their expertise in testing antimicrobial compounds. 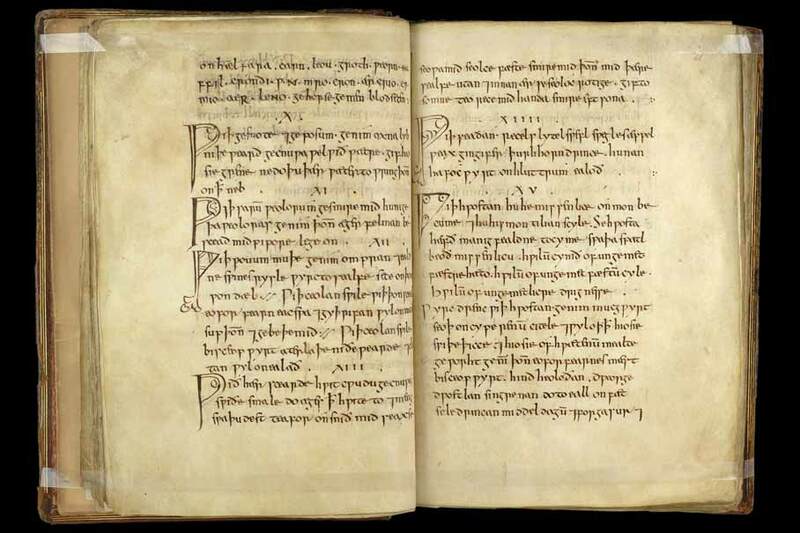 The millennium-old Bald's Leechbook, left, contains a recipe, right, for eye salve that has proven effective against modern bacteria, including MRSA. 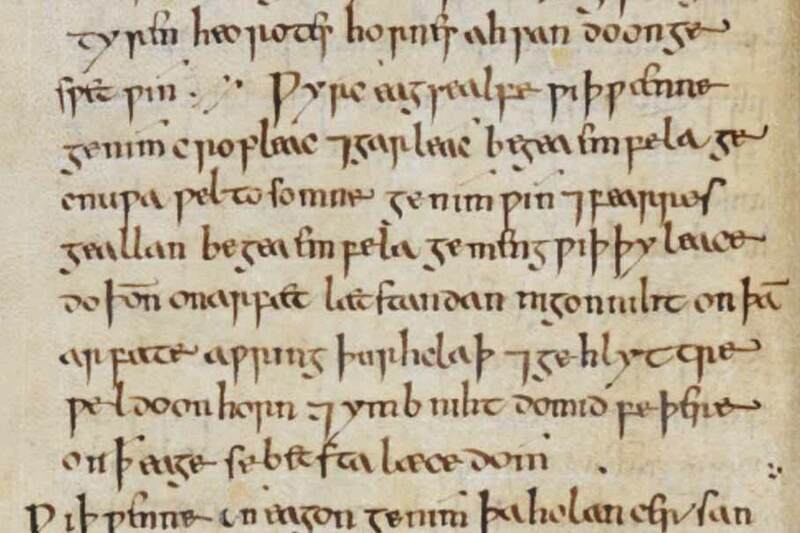 Bald’s recipe for eye salve was probably intended to treat a sty, which is caused by staphylococcus aureus bacteria infecting in an eyelash follicle. But the same staph bacteria also cause other severe and persistent infections including methicillin-resistant Staphylococcus aureus strains, or MRSA, that are associated with the chronic wound infections that Rumbaugh studies. The ointment was made of garlic, leek, wine, and oxgall — bovine bile — combined in a brass vessel and left for nine days. When investigators tested the effect of Bald’s eye salve on staph, they found it was 90 percent effective in treating MRSA infections. It also significantly reduced the number of viable cells in biofilms. 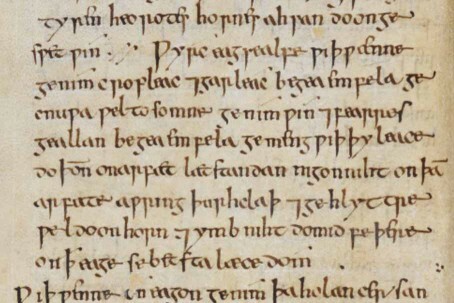 According to Rumbaugh, even in its first formulation the feudal-era remedy was more effective than vancomycin, currently the first-line treatment for MRSA infections. Finding the right formula could create a new antibiotic for hospital use that would save lives. To give, donate online, call 1-888-999-0074, or contact a development professional.